On Friday 7 March, St Mark’s School held its annual Year 6 Cross Country event. Over 200 children from Bathford, Batheaston, St Saviour’s and St Stephen’s took part in the event which is growing in popularity year on year. 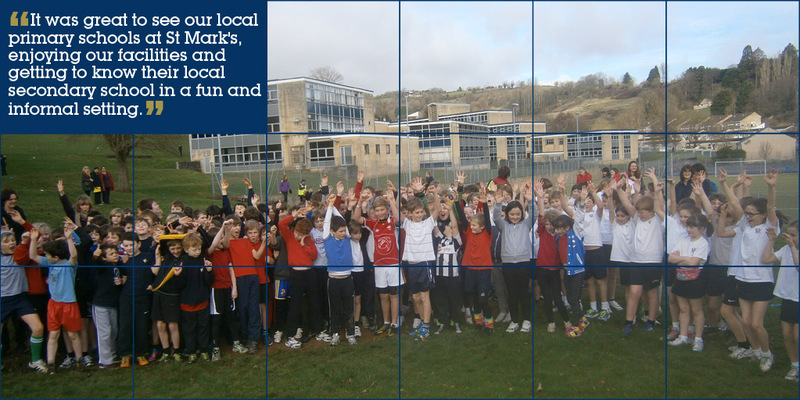 The was organised by Steve Leonard, Head of PE at St Mark’s as part of the school’s primary liaison activities to encourage more children to take part in sport and physical activity, whilst having fun. The course asks a lot of the children as it incorporates both soft, tarmac and astro surfaces but was successfully completed by everyone involved. Pupils from Year 7 at St Mark’s were the official course marshals, guiding and supporting the young runners during the event. In a tough and really competitive race, Ben Game from Bathford Primary, was the first boy to cross the line whilst there was a dead heat in the girls race with Maya Lane and Olivia Singer, both from St Stephen’s crossing the finishing line without a gap between them. Eventually after results were checked, the team event was won by the narrowest of margins, 0.1 point separated St Saviour’s from the winner St Stephen’s.